JUST LIKE THE BIG BRANDS BUT ONLY HALF THE PRICE! This thread is made from High Tenacity Viscose/Rayon filament yarn,ticket 40. Each cone has 5,000 meters of thread, cops have 1,000 meters of thread. Our own Premium brand yarn is manufactured by the same factory that supplies other major brands. The factory has the most advanced spinning, twisting, dyeing and winding systems in the world. The thread output from this factory is exported all over the world. 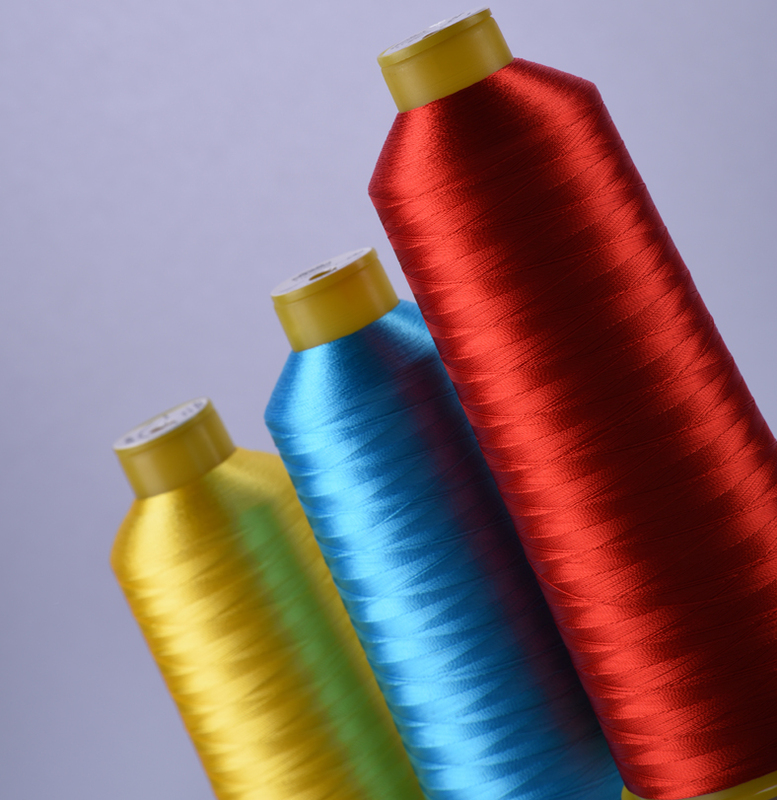 Just let us know what brand and colour you want us to match our Premium Rayon Embroidery thread to and we will do the rest for you. Just buy two cones of our Premium Rayon Embroidery thread and the saving you make will more than pay for any carriage charge and you can order ALL your other supplies from us. Please select the thread cone/cop size below then tick the correct option. The UK is the only country where embroidery machines are set to run on such high tensions! The reason for this is that people think running at full speed such as 1500spm will give them more production. So for the machine to perform well at high speeds the thread tensions, both upper and lower need to be set higher. Why would you do this? If you buy a car that does 150mph, you would not drive it at that speed all day even if you could. So why treat your embroidery machine any different? • You are limited to what threads (expensive) you can use on your machine to avoid breaking! • You then use stronger underthread to avoid breaking. • You use stronger backing or more pieces of backing to prevent the distortion. • You increase the amount of puckering in your embroidery. • Your embroidery sinks into the fabric. • After washing, the area that has been embroidered pulls into the fabric. All these problems can be avoided if you run your machine at a sensible maximum of 800spm. At these speeds you will not have any issues with our Premium thread.